We understand that history does not need to be confined to the four walls of a dark and stuffy museum. History can be enjoyed and appreciated via live performance, on walking tours, or on protected heritage sites. History can be stumbled upon in the most unlikely of places and strikes you at times as incredibly moving and fascinating. We love to learn on our trips, here are a few that might just pique your interest. What is it about kids and dinosaurs? From Tyrannosaurus Rex to the aptly named Albertosaurus, dinos are waiting for you in Southern Alberta. Tens of millions of years ago, huge dinosaurs roamed vast regions of Western Canada. Today you can see dinosaur fossils at places like Alberta’s Dinosaur Provincial Park or at the Royal Tyrrell Museum, boasting one of the world’s largest displays of full dinosaur skeletons. 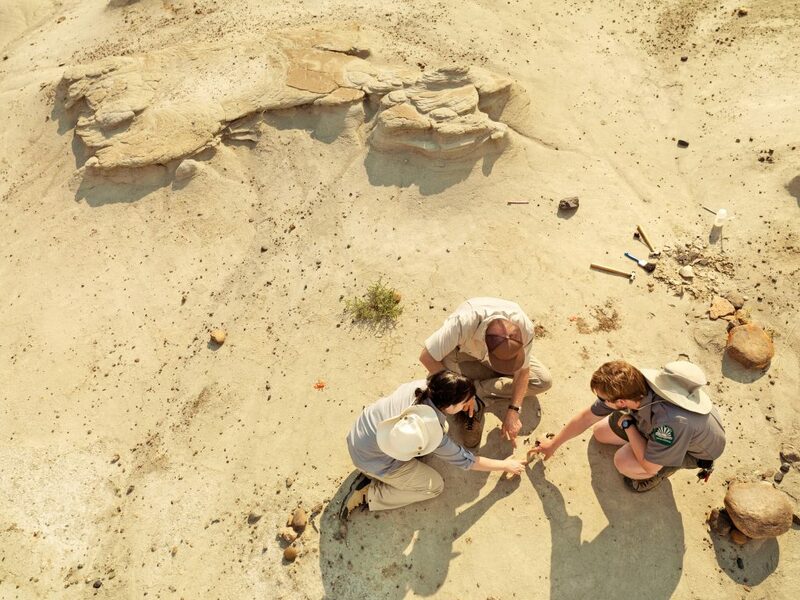 Ask one of our Canadian Insiders about a trip down the Fossil Trail to visit these fascinating places. At L’Anse aux Meadows you can travel back ten centuries to a time when Vikings inhabited this outpost on the edge of the known world. What was life like for a Norseman on the edge of the world? You can ask characters who will bring the Viking history to life at At L’Anse aux Meadows. The first Europeans to visit and settle in what is now Canada were the Vikings in the early eleventh century. Led by Leif Eriksson, they set sail from Greenland to explore this new world and extract its precious resources. One of their settlements at northern Newfoundland’s L’Anse aux Meadows is now a UNESCO World Heritage Site. Ask one of our Insiders about our Wild Newfoundland Self Drive Tour, which includes this fascinating archaeological site. Ever since they clashed on Quebec City’s Plains of Abraham in 1759, the British and French in Canada have competed for the soul of our land. For hundreds of years, Canada’s two founding European cultures have been fundamentally influencing our nation’s artistic, literary, culinary and musical direction. Wherever you choose to travel in Canada, you’ll experience evidence of this great bi-cultural foundation. From the French heartland of Quebec City across the continent to the English bastion of Victoria, we can help you explore our bilingual national treasures. Home to the Inuit and their ancestors for thousands of years, Canada’s vast Arctic has also seen centuries of European exploration. Early adventurers explored it searching for resources, the elusive Northwest Passage, and to gain scientific knowledge, national and personal prestige. Today, visitors flock here for the adventure of a lifetime. Ask us about our amazing Arctic itineraries, and then start shopping for a parka.